Located in Greenville, South Carolina, Dr. Leporowski serves the Upstate region but has an expanding clientele from throughout South Carolina and even Georgia as well as North Carolina, where she is also licensed. Evaluations are not standard, but are individualized for each client’s unique needs and referral concerns. Dr. Leporowski has performed psychoeducational evaluations of children, adolescents, and adults for over 20 years. Dr. Leporowski trained for a year at Miami Children’s Hospital, evaluating and treating children and adolescents. Her post-doctoral residency was at an adolescent residential treatment center where she provided assessment and treatment and taught psychological assessment to pre-doctoral psychology practicum students and interns. Dr. Leporowski was also a court psychologist for the Youth Services Division in Palm Beach County, Florida, where she evaluated children and their parents for the court. In addition, Dr. Leporowski has taught Developmental Psychology (Child Development) at the college level, and her APA-approved internship included an extended rotation in neuropsychology. Can’t the school test my child? Yes, but unfortunately our local schools have a shortage of school psychologists. In addition, school psychologists are unable to diagnose all of the potential disorders that testing might reveal, and the wait for an evaluation could be as long as an entire school year. How early should I have my child tested if I suspect he/she has learning problems? While early intervention is important, our experience has led us to develop a policy to not perform a comprehensive psychological evaluation prior to the age of 6 in order to obtain the most accurate results. 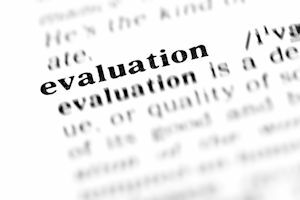 How long does a comprehensive psychoeducational evaluation typically take to perform? From approximately 3 to 6 hours depending upon the age of the child and the nature of the referral question. 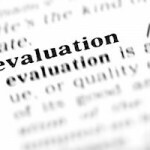 How long does it take to get the written results of the evaluation? While most providers and local “centers” take at least 3 to 4 weeks (or even longer) to generate a report, we pride ourselves on typically providing a written report within one week. Will my insurance cover the cost of a psychoeducational evaluation? You can certainly check with your insurance company, but in our experience, most insurance companies will not reimburse for most of a psychoeducational (or learning) evaluation.